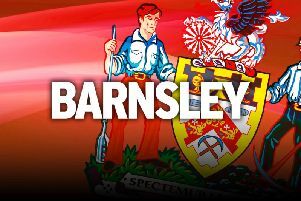 Head coach Paul Heckingbottom is hoping for a busy week at Barnsley in terms of signings. The Reds’ chief is still a long way short of his dream squad, with just over a fortnight to go before the club’s first Championship fixture at Bristol City. Teenage striker Ike Ugbo became the eighth new addition at Oakwell after he joined the club on loan from Premier League champions Chelsea. It has been a transitional summer for Heckingbottom after losing key stars in abundance over the past 12 months. His squad is starting to take shape nicely, but he still needs more numbers through the door to account for potential injuries and to provide competition for places throughout the squad. “We've added a lot of players, but I’m hoping for more in as well,” revealed Heckingbottom. “Hopefully this week is going to be a really big week for us. “We’ve worked really hard to identify players that we want to bring in. We’ve identified a list of players we want and hopefully I’ll be working with them as soon as possible. Despite being open about the possibilities of incomings, the former defender kept his cards close to his chest regarding the targets he is eying up. Heckingbottom added: “No not really, I won’t be giving any clues. It’s obvious where we’re short, it’s plain to see. Meanwhile, Aston Villa’s trip to Oakwell has been changed to a 5.30pm kick off on September 16 and will be aired on Sky Sports.